Ducane isn’t a household name when it comes to heating and cooling the way that Lennox or Bryant is, but their reputation and renown are growing with a lineup of quality A/C units like the Ducane 4AC16 air conditioner. They have a surprising number of performance features and rate well in independent testing. Sherm in Bolingbrook, Illinois posted his Ducane 4AC16 High Efficiency 16 SEER air conditioner price and we’ll pass it along here as well as store it in our HVAC prices database. Here’s Sherm’s post. “We bought a beautiful old home here that had been entirely renovated 5 years ago, furnace and all, but for some reason they didn’t replace the central air conditioner. The owners worked for the same company and both got laid off 3 years ago and then 14 months ago lost the house to the bank after all the work they did, which is a shame, but that’s how things are right now. We were able to get it for less than they owed on it. We love the house and appreciate all the careful work they did in restoring the woodwork and maintaining an early 20th century feel to the home. But I wasn’t going to go through a Chicago summer without a central air conditioner that was reliable, so we called several dealers out to give us the run-down on central air conditioner prices. 4 ton Ducane 4AC16 air conditioner: $2,219; Installation, $2,700; Total: $4,919. Up to 16 SEER performance. Energy Star qualified/Tax credit eligible. 2-stage scroll compressor is quiet and durable. Compressor is the Copeland Ultra-TechTM, rated highest in the industry and used by top brands. Comfort Alert 2TM advanced diagnostics. High pressure and low pressure switches for maximum unit protection. Compressor sound blanket and other features reduce operating noise. Units available from 2-5 tons cooling capacity. Built-in defrost control and crankcase heater. Durable metal cabinet with louvered panels that remove quickly for maintenance or service. Heavy-gauge steel cabinet with rounded corners for safety and appearance. Coils use aluminum fins and copper tubing for maximum efficiency and durability. The Ducane 4AC16 air conditioner has a lot to offer as you can see. Having the unit installed by a qualified contractor is the best way to ensure you’ll get the maximum benefit from all those features. A properly installed unit will perform up to expectations and last longer, as many studies have shown. 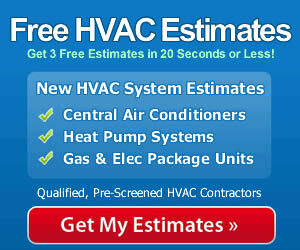 Don’t risk poor performance and reduced durability from any HVAC component. Have a pro install it and enjoy worry-free service and a comfortable home for many years!